The W-series is a 4-speed or 5-speed manual transmission built by Aisin. 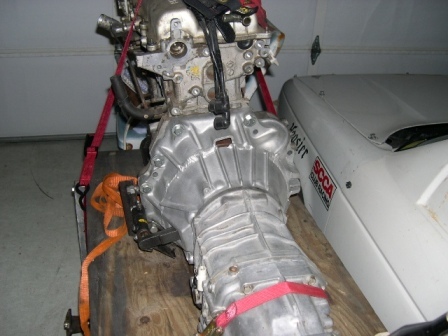 It is super strong transmission which will just fit in the Datsun 1200 transmission tunnel. 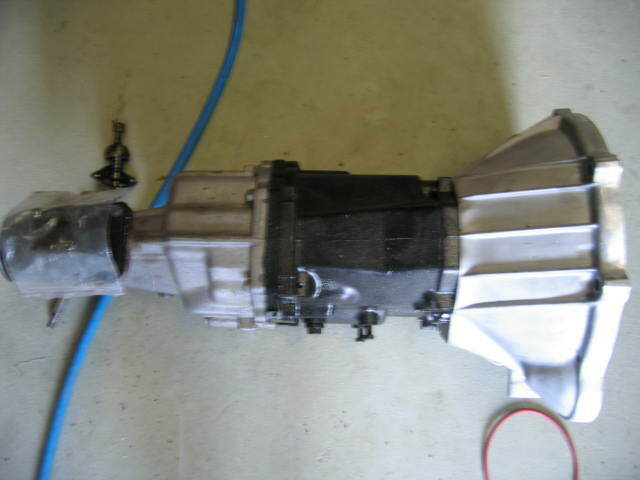 3Rotor and Cameron_Datto have fitted W gearboxes to Datsun 1200. 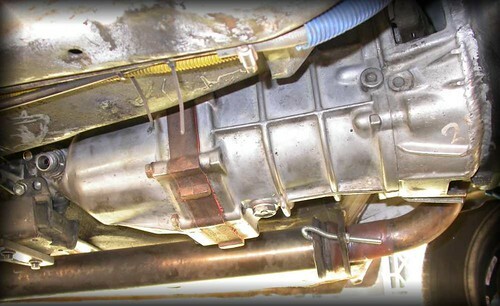 Wogboy: The clutch is original datto 1200. I used the datsun clutch fork and cut the opposite side of the bellhousing on the t50. Then is used the toyota thrust race, ground down the datto clutch fork to clear , then welded a couple of allen keys(strong steel) to reinforce the clutch fork. The result was the sweetest clutch action I have ever felt. 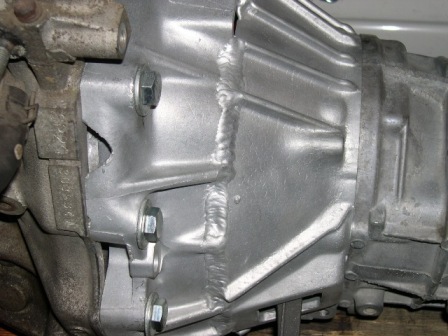 racinaround cut the front 3" off a FWD SR transmission, then welded it to the Supra gearbox. This is handy because Nissan doesn't make RWD 5-speeds that fit the FWD SR engine. 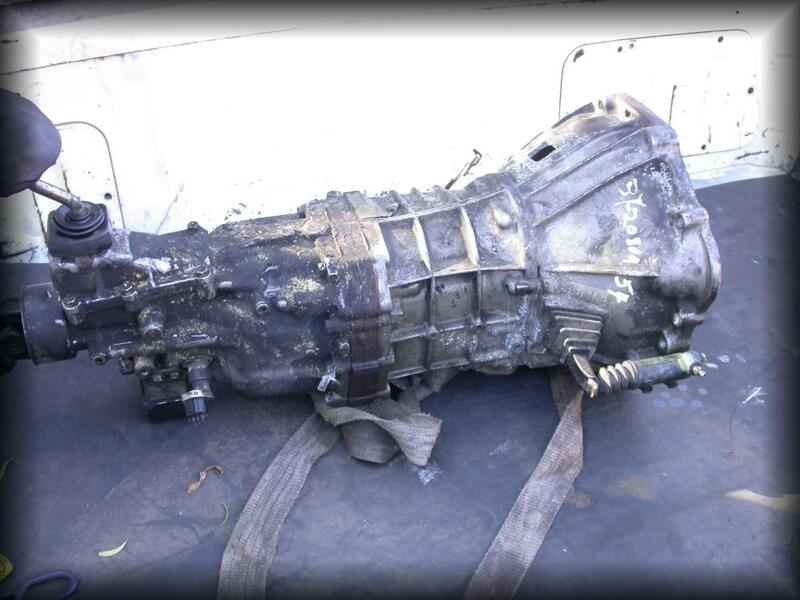 The W50 Toyota 5-speed can be fitted to a Datsun A-series engine. 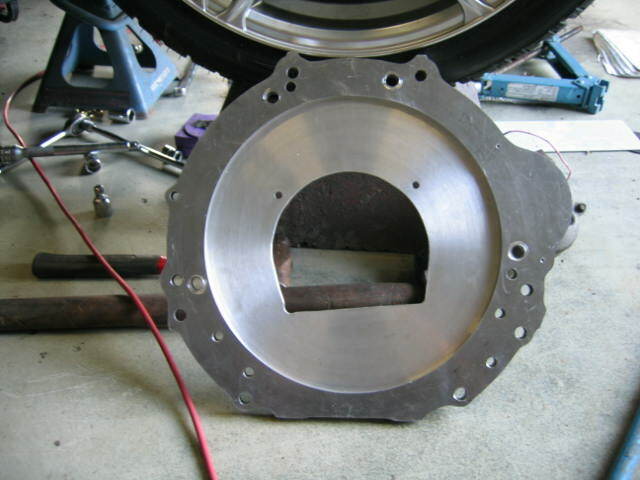 Use an A-series automatic transmission bellhousing with an adapter plate to fit the W50 gearbox. 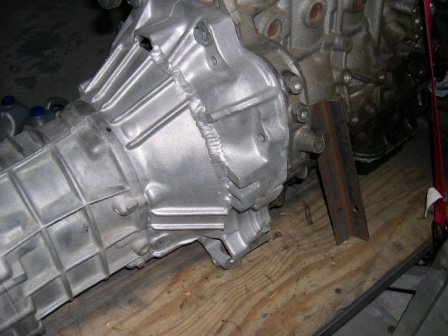 The W50 is a non-alloy gearbox, and the thickness of the adapter plate would be different for any alloy W gearbox. Adaptor plate bolted to Celica box, clutch fork pivot fitted. Datsun 56A 4-speed verses a Celica W50 steel case 5-speed fitted with an A series auto bell housing and adaptor plate. 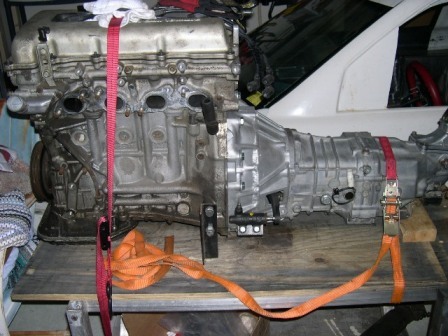 Below: W50 Celica 5-speed below. 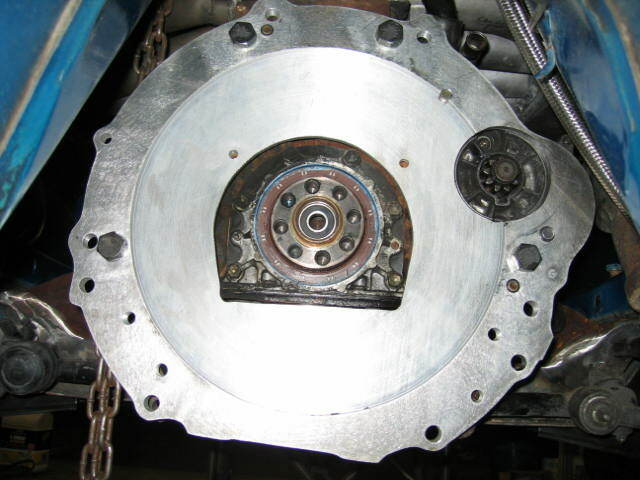 Modified Datsun clutch fork fitted to Celica thrust bearing. Slot cut through the side of an A series auto bell housing . Clutch fork retaining spring and clutch cable mount still to be made. The spigot fits into the back of the A-series crankshaft as per standard but a machined spigot bearing needs to be made to suit the Celica input shaft. the speedo cable matches up to the Celica box with no mods. A clutch needs to be sorted out , a new spiggot baring needs to be made and a new tailshaft is needed. This page has been accessed 4,426 times. This page was last modified 23:13, 18 August 2018. Content is available under Datsun 1200 Club.